Another thank you in the direction of Bart Wursten (aka zimbart@Flickr) for sharing some of his photographs from Africa, this time from Zimbabwe (image 1 | image 2 | via the Botany Photo of the Day Flickr Pool). Always appreciated, Bart! This species is native to continental southeast Africa, where it is found in open burned grasslands. 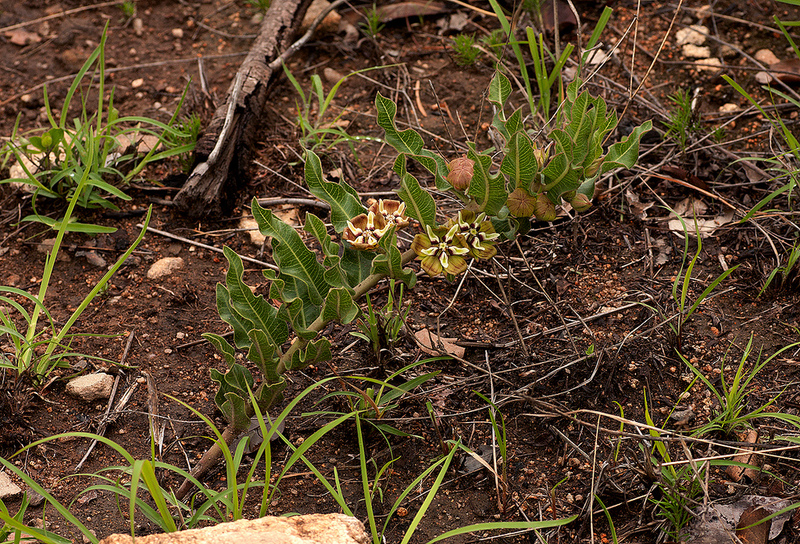 Even though it is listed as a species of least concern by the Red List of South African Plants (and therefore fairly common), it is apparently uncommon to see Pachycarpus concolor in flower (why? because apparently the antelope eat them). The one common name I’ve been able to track down for this species is ishongwe. The Flora of Zimbabwe has a description of Pachycarpus concolor, while additional photographs are available via iSpot Southern Africa: Pachycarpus concolor. I love this family. What a spectacular bloom! How unexpectedly beautiful down there on that rough ground. Once you’ve studied the flower of the milkweed you’ll recognize it anywhere. What Heather said. Thanks for including the habit photo. Gomphocarpus concolor. I tried looking for a resemblance to other Apocynaceae, but that just left me in wonder – Hoya, Mandevilla, Plumeria, Ceropegia, Tabernaemontana, Carissa, Amsonia. Yes- I see them, too! In Swaziland it is called “lichogina” and used to make food bitter in training dogs not to steal food. 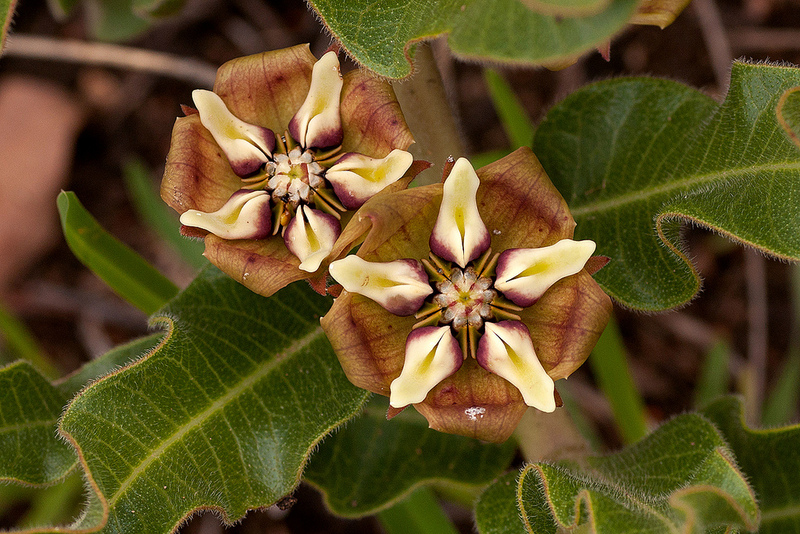 Apocynaceae is such a cool family! But I was thinking Asclepiadaceae at first glance. The antelope must crop them off when the shoots are new and tender. Here in Upstate New York, I harvest the early shoots of common milkweed and steam them and serve them with butter and a twist of black pepper and a splash of lemon juice. In a few months when I’m eating milkweed, I’ll be thinking of what I have in common with the South African antelopes.